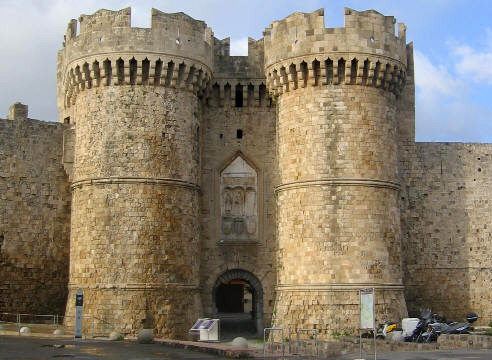 Gate St. Catherine (Pili Agias Ekaterinis) or Gate of the Sea (Thalassini pili) or door Port (Pili Limaniou) was the main gate of the city. 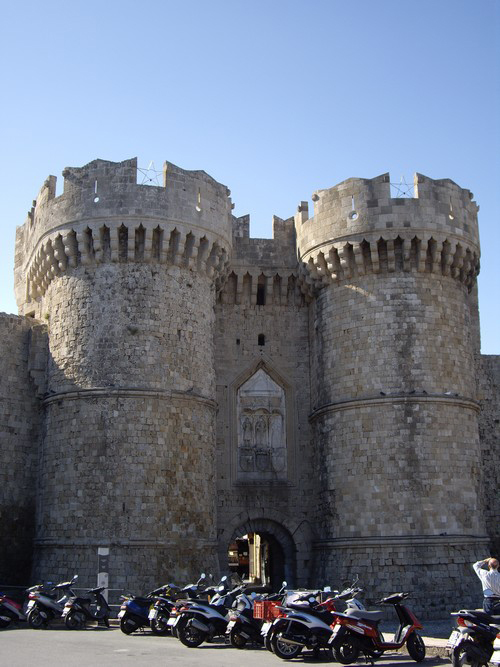 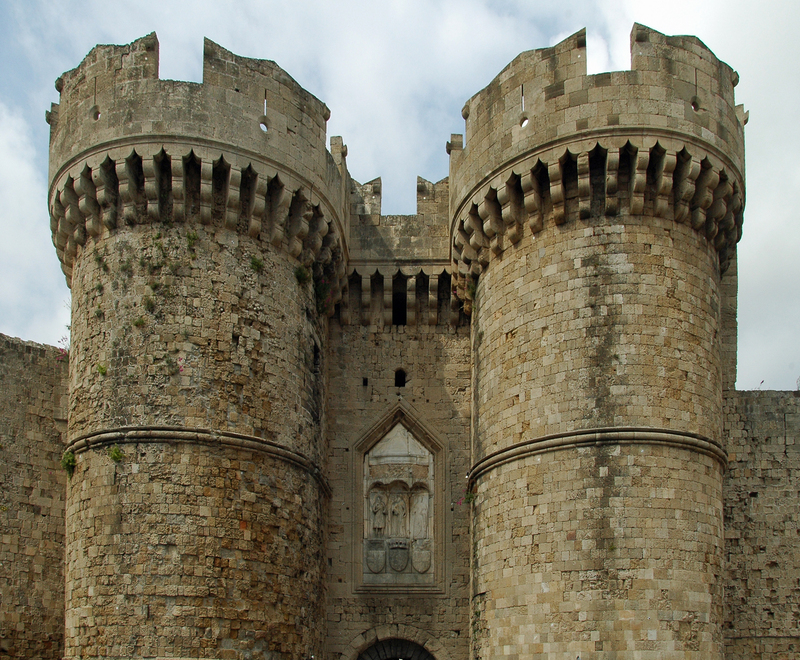 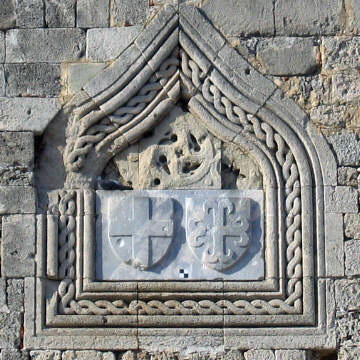 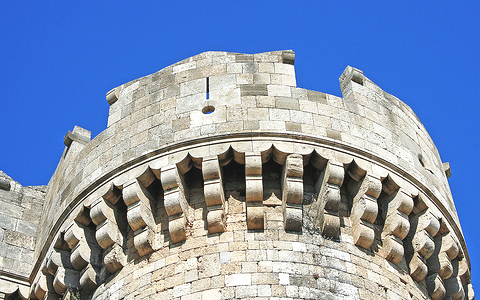 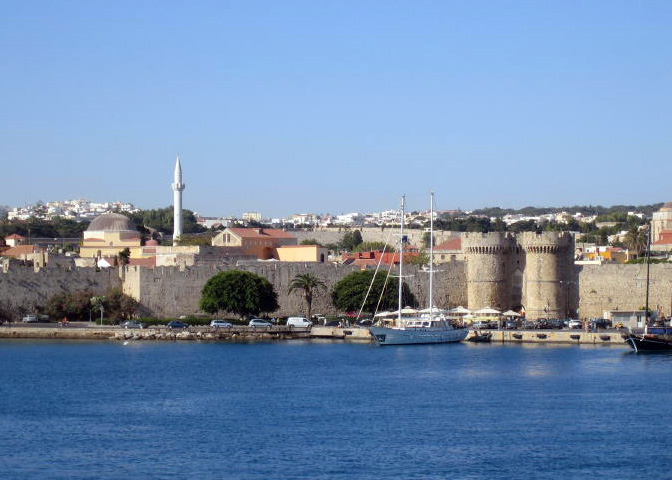 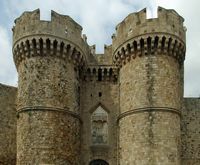 It was built in 1478 by Grand Master Pierre d’Aubusson as part of the effort to strengthen the fortifications of Rhodes against Ottoman dreaded an attack: This attack took place in effect exactly two years later. 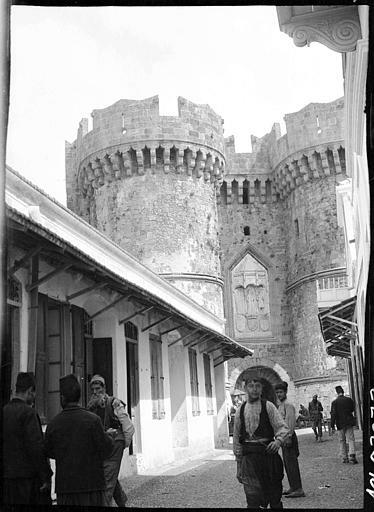 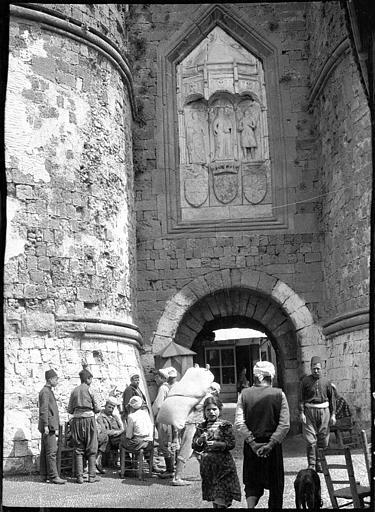 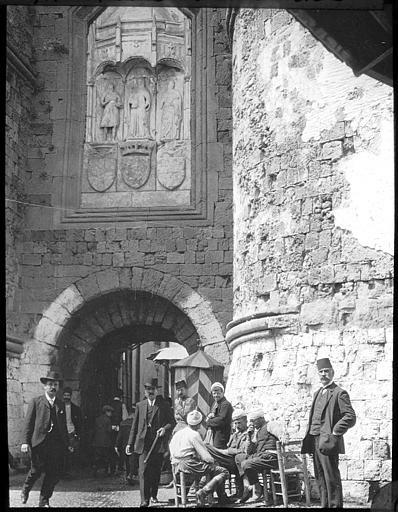 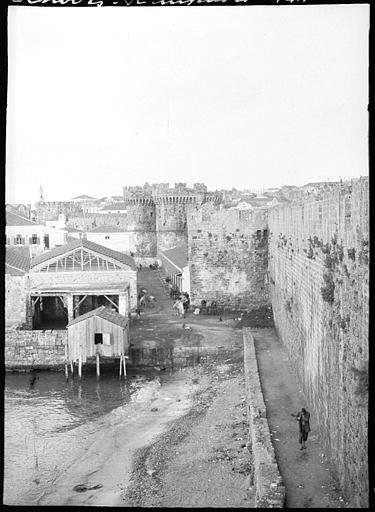 However, the door was an unlikely place for a possible onslaught of the Ottomans: the space between the walls and the port was too small to allow the establishment of a camp at this location. 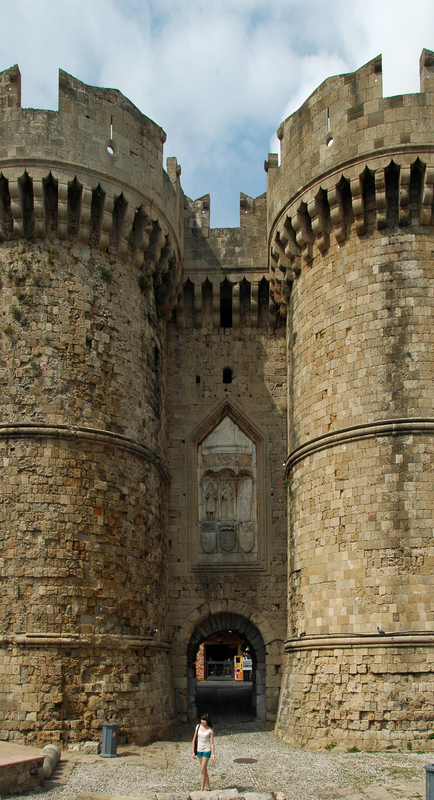 This explains why this door is a work of art, a kind of monumental entrance, a defense structure. 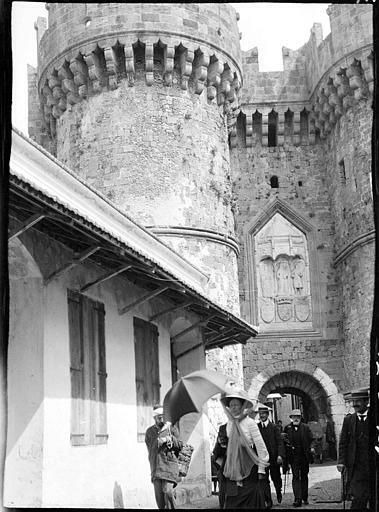 Gate St. Catherine is flanked by two beautiful twin towers with battlements and crenellated a semicircular arc. 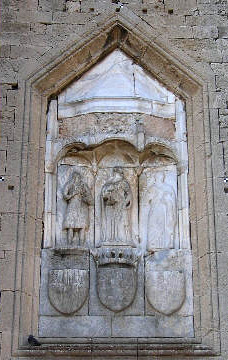 Above the door, there is a bas-relief, surmounted by a canopy representing the Virgin Mary and Child, St. Peter left and St. John the Baptist on the left, together with a bas-relief unfortunately mutilated. 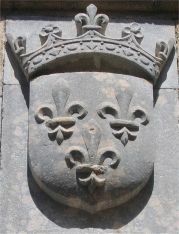 Below the bas-relief is carved on the shield lilies of France crowned crests between the Order and the Grand Master Pierre d’Aubusson who built it. 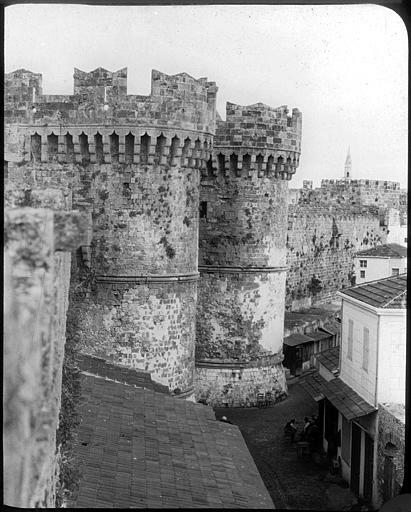 Gate St. Catherine gives access to the dock port of trade , just opposite the pier mills.